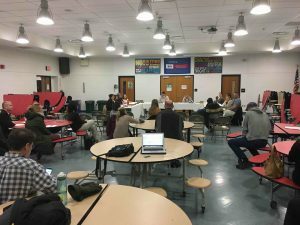 A new running track, too many half days, and new municipal committees were highlights of the Jan. 28 South Hunterdon Board of Education (BOE) meeting at South Hunterdon Regional High School. About 20 area residents attended. One of the opening public discussion items was from Lambertville resident Jackie Sornstein, who noted how many half days the district currently has. Sornstein cited six conference days, which are half days. She acknowledged that there might be contractual issues there, but remarked, “No one I know has 13 half days at the elementary level,” also bringing up the four half days before the end of the school year. Discussion also revolved around the creation of municipal ad hoc committees to further investigate the future of school facilities. These committees would be similar to what happened a couple years back. 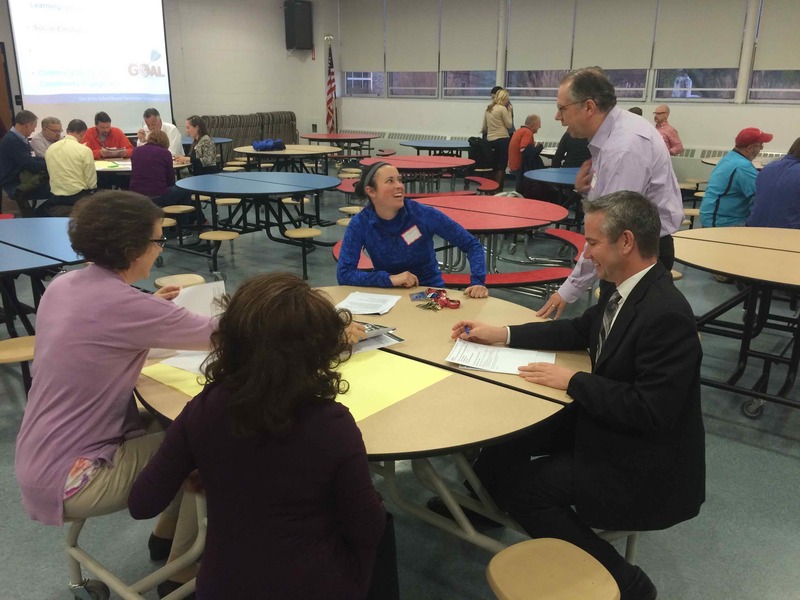 BOE President Jim Gallagher acknowledged that “if all goes well” we’ll have these meetings in maybe in early March. These committees will be made up of elected officials from each municipality. Any major change to the existing buildings would require a referendum, which would have to pass in two of the three municipalities, as well as by a majority of voters overall. 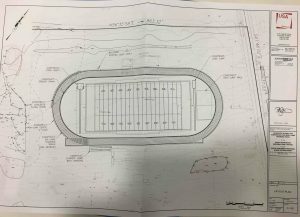 There were also hopes of having a new running track built this year around the high school football field at a projected estimate of $1.1 or 1.2 million, according to Gallagher. He said the BOE has saved money over the years in a capital reserve account, but wouldn’t want to “completely drain” it. Additional donations have been secured, and more was raised by selling paintings when the district consolidated, estimated to be about $328,000, some of which would go into the track. West Amwell resident and track team booster club member Andrea Little hoped that additional revenue will be raised through sponsorships and registration for the 4th annual Tracks for South 5K in early April. 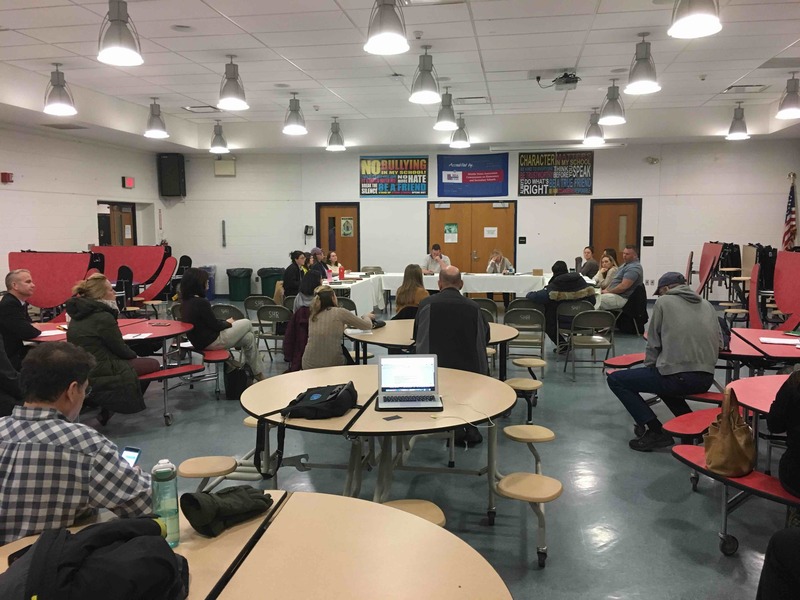 The overall proposal has to be submitted to the N.J. Department of Education, which will then secure required permits and eventually put out bids, potentially in February. The plan was presented to the West Amwell Township Planning Board and they were supportive. Gallagher noted that work could begin in later spring, but because of the wet weather, summer might be more likely. About 72 students signed up for spring track this year according to one school official present at the meeting. In the past, the South Hunterdon teams have had to pay to use New Hope-Solebury’s track, and were planning on an agreement with the Solebury School this season. The track might be ready for the fall, but the field must be re-seeded and will need two growing seasons (fall and spring) before teams can use it. 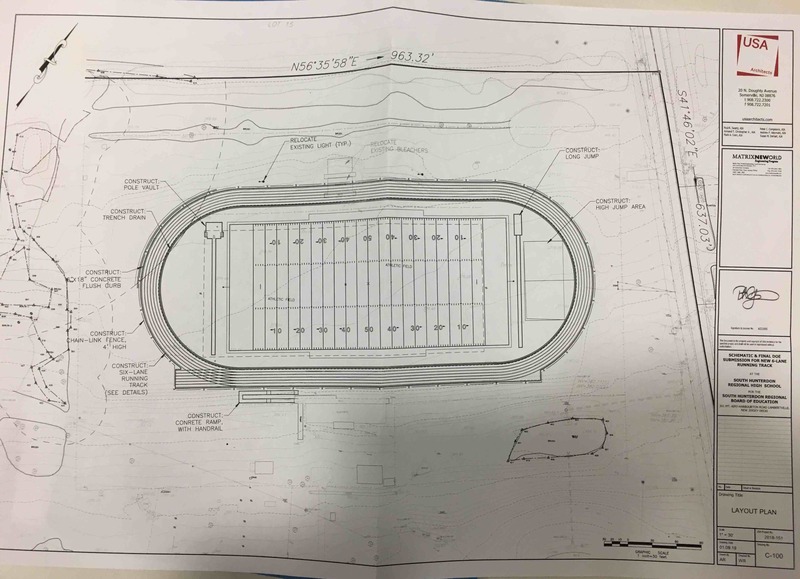 As a result, Gallagher explained that South Hunterdon’s football team will be playing home games at Ely Field in downtown Lambertville, which the NJSIAA has certified as being regulation. A parking and logistics plan will have to be worked out, but Lambertville residents look like they’ll be able to walk to certain high school matches next school year, including a few soccer games. Also of note, BOE School Safety Committee head Kevin Koveloski mentioned that Eastern Datacomm will demonstrate enhancements to the current school lockdown systems at the next BOE meeting on Feb. 25, and encouraged interested community members to attend.